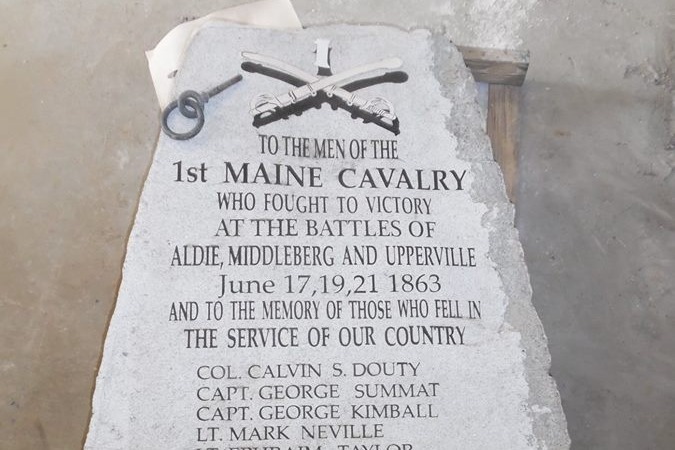 The 1st Maine Cavalry, Co. A, reenacting group is raising funds to transport and erect a stone that will soon become the memorial to the men of the 1st Maine who fought and died at Aldie, Middleburg and Upperville at the start of the Gettysburg campaign in 1863. The stone is native Maine, Portland gray granite and it weighs in at 3000+ lbs. The photo of the stone was taken by Stevens D. Bunker. He is also responsible for the creation of the stone. Last call! I will be mailing a check to Stevens Bunker, who has done all of the work and spent all of the money on the memorial so far, on Monday the 29th of October. Please consider adding any amount to the fund. 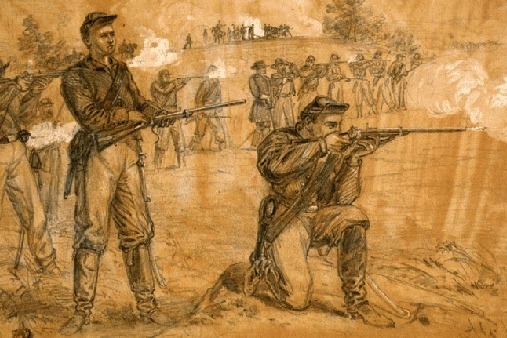 Here is a link to an account of the Battle of Middleburgh: https://www.battlefields.org/learn/articles/battle-middleburg The memorial stone we are raising funds for will honor the soldiers of the 1st Maine who died fighting in this battle. 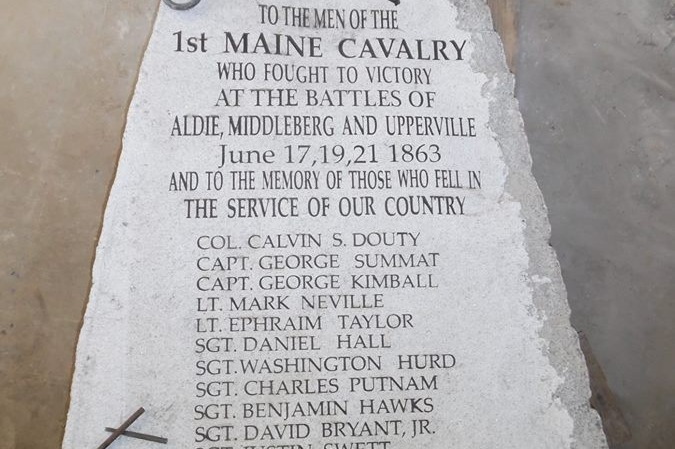 The photo of the monument stone was taken by Stevens D. Bunker. He is responsible, also, for the creation of the stone.